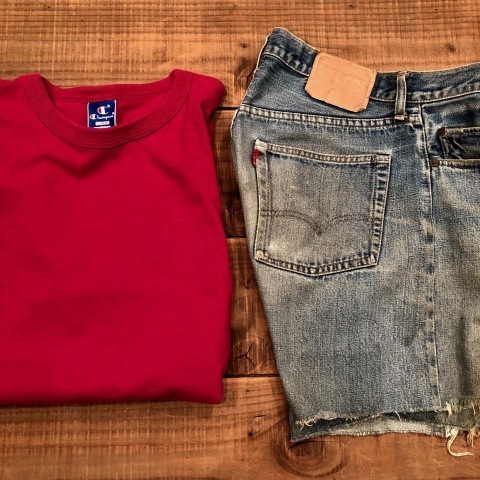 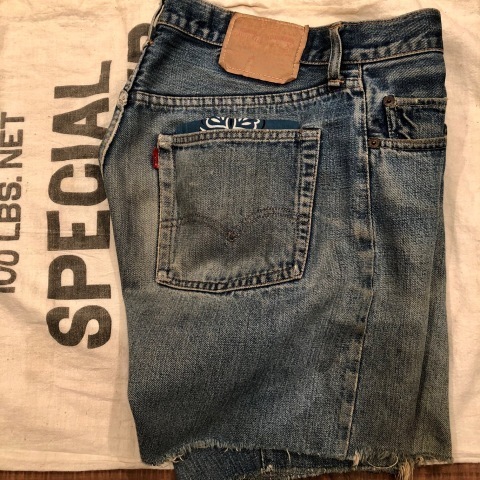 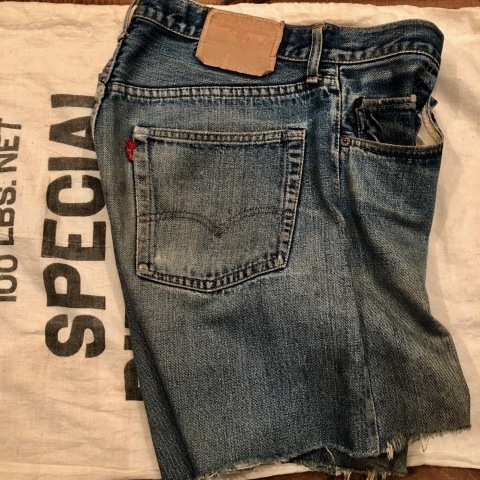 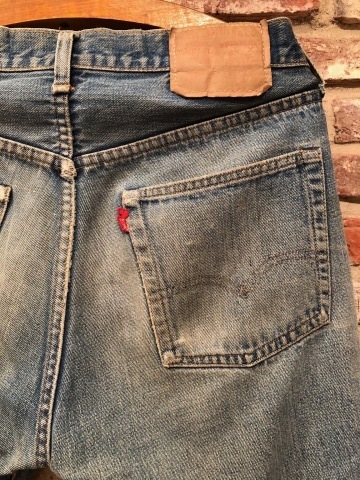 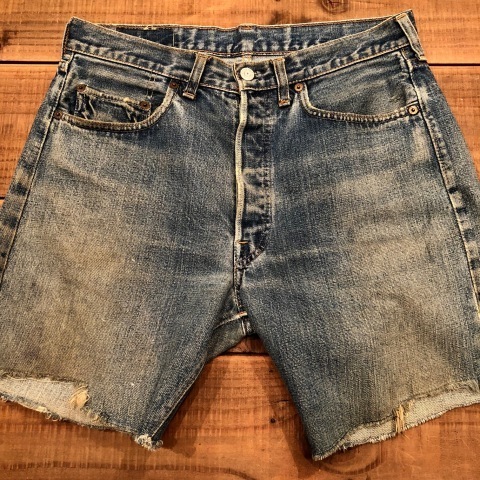 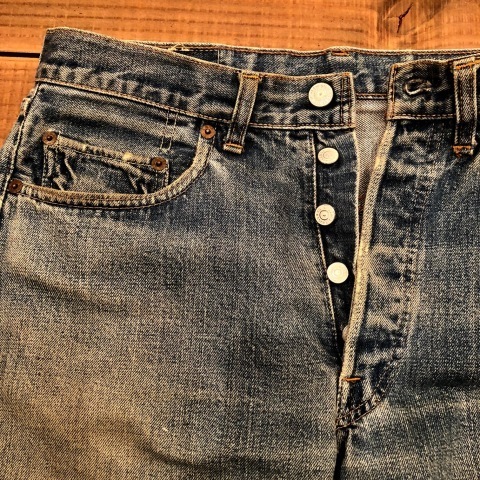 1975 " Levi's " ５０１ - ６６ MODEL single stitch - VINTAGE CUT-OFF DENIM SHORTS . 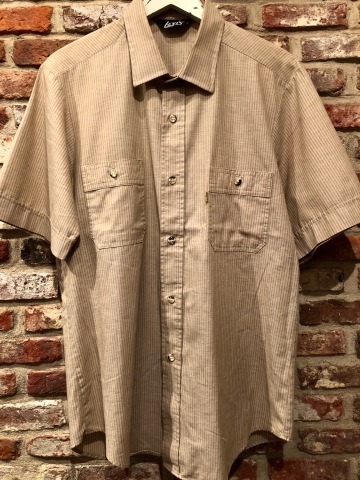 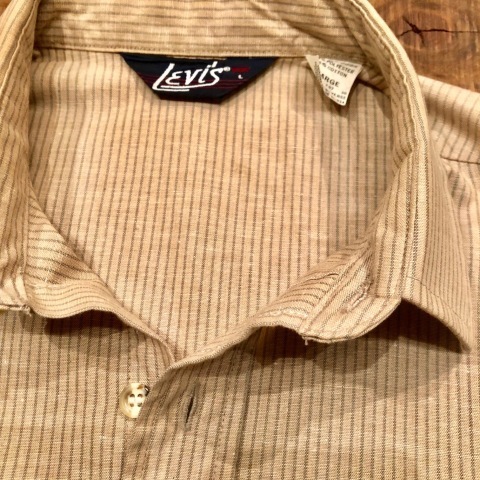 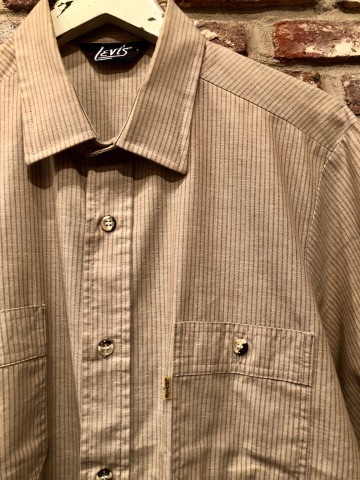 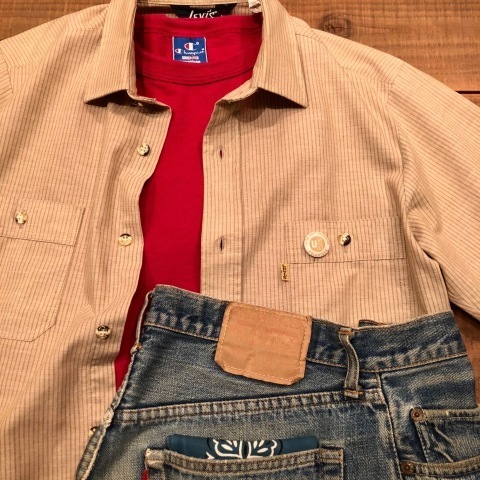 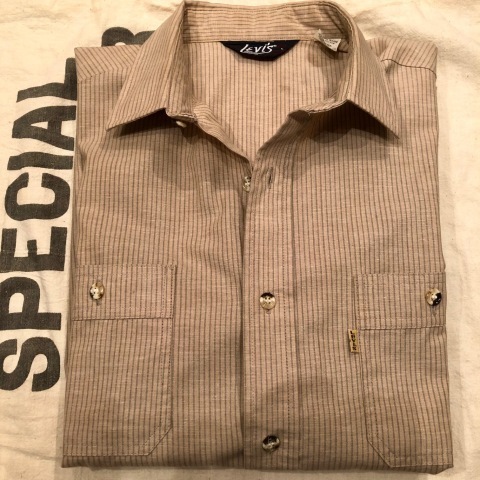 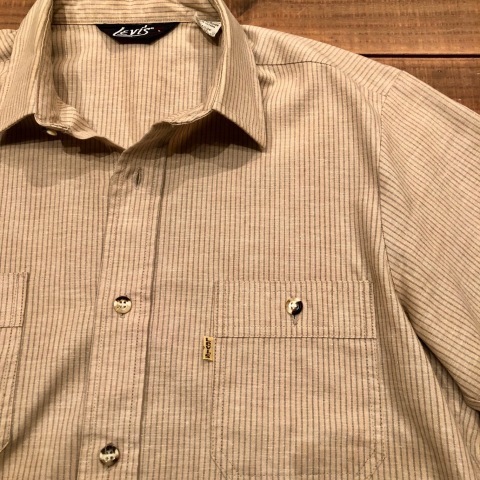 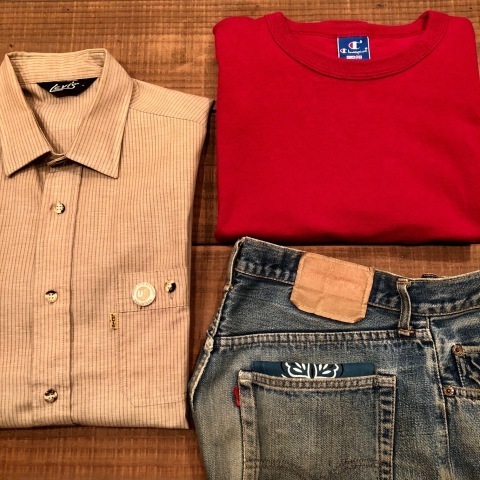 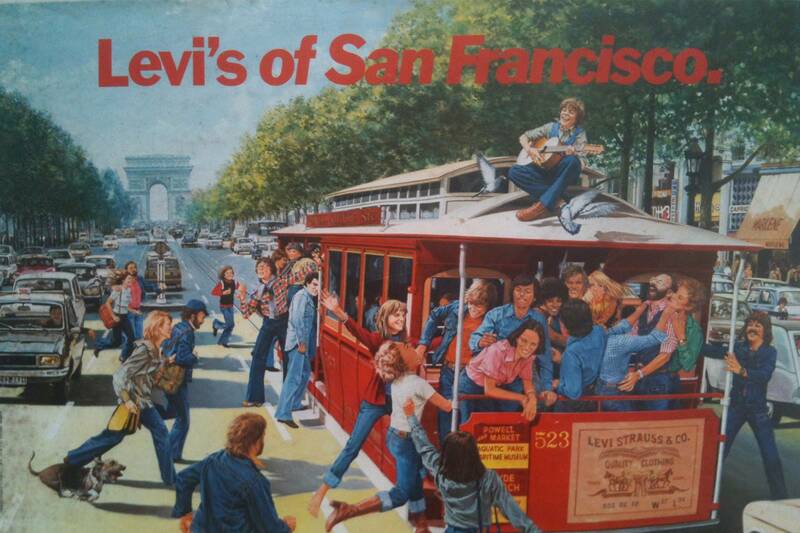 Early 1980s " Levi's "
BRAND : Early 1980s " Levi's "
- CL STRIPE - S/S WORK SHIRTS . 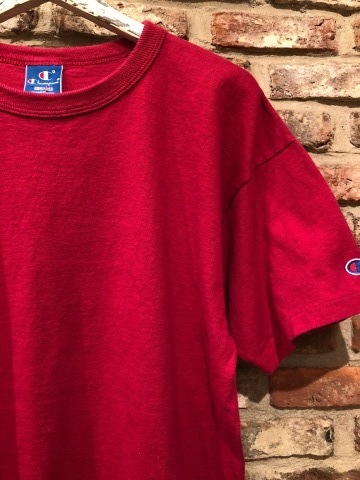 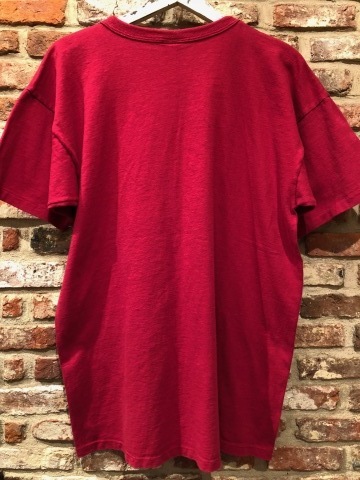 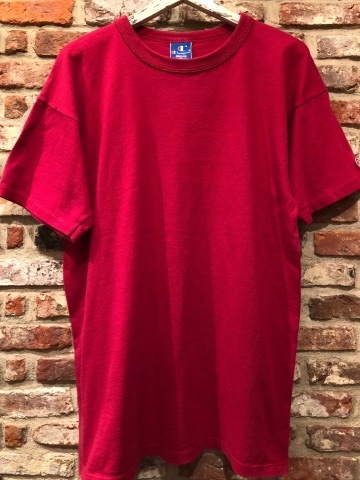 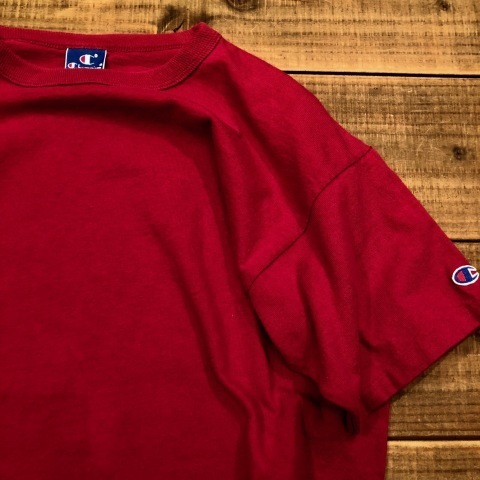 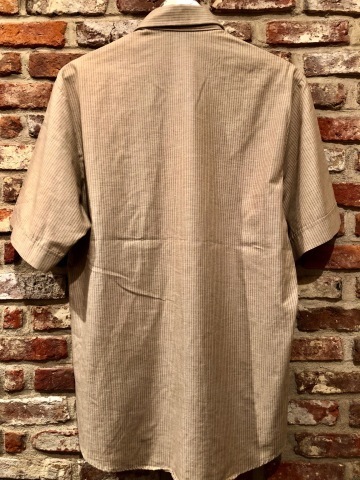 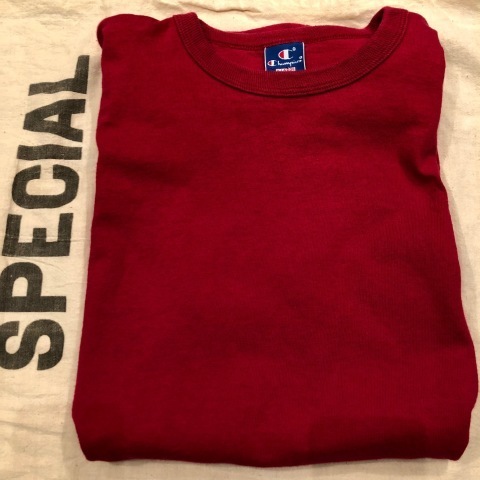 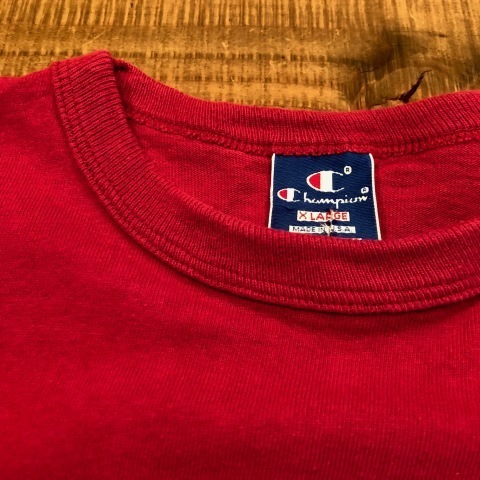 サイズ表記 " X- LARGE "
- Binder NECK - SOLID Tee SHIRTS . 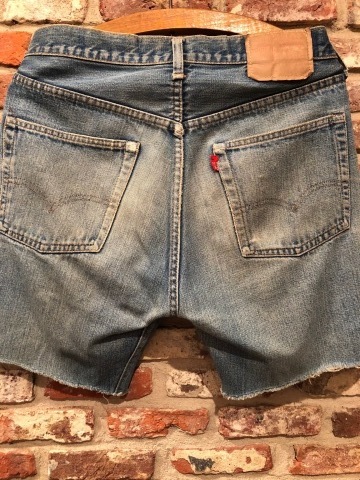 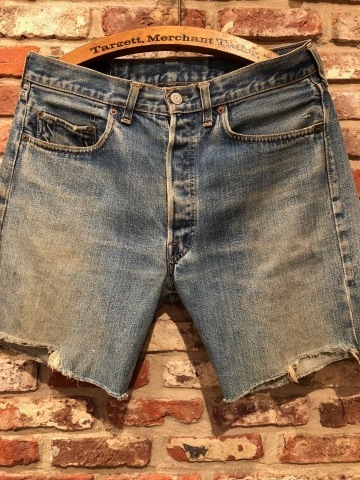 BRAND : 1975 " Levi's "
VINTAGE DENIM CUT-OFF SHORTS . 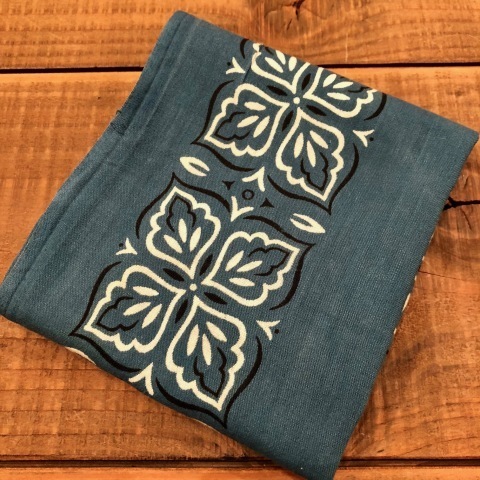 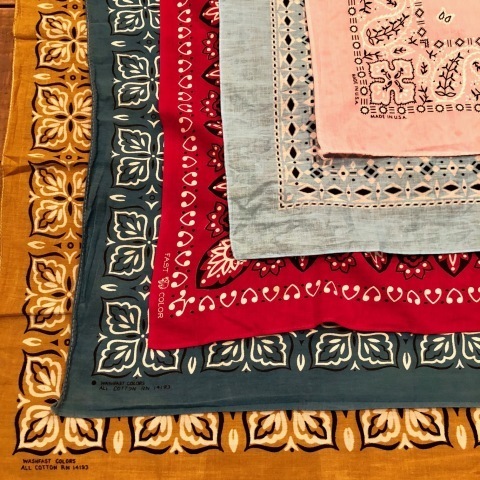 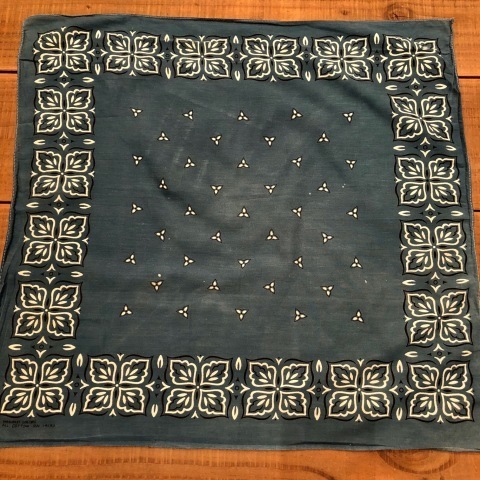 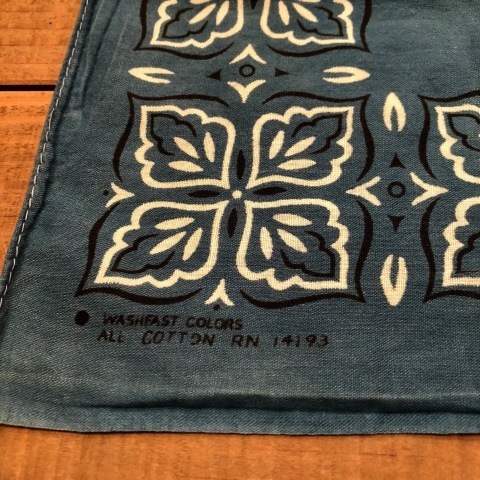 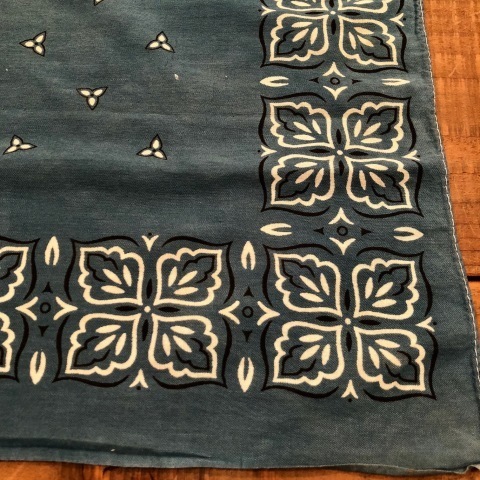 1950 - 70s " VINTAGE "
" インディゴブルー " " テールグリーン "
BRAND : 1960s " WASH FAST COLOR "
- PAISLEY - BANDANA .